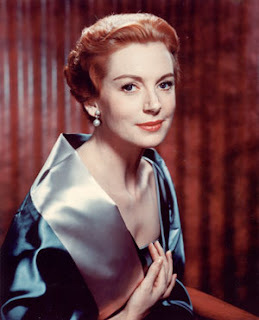 A more genteel and beautiful woman than Deborah Kerr could not possibly exist. 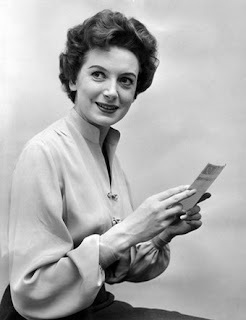 The Scottish actress, known for roles in countless movies and Broadway shows, exuded utter grace and sophistication throughout her entire career. My fascination with the actress began when I was just four years old. As a little rambunctious tyke with way too much energy, my mother decided to put me into theater. And my first show? The King and I, of course! I, naturally, became obsessed with the musical and watched the movie -- with Kerr as Anna -- every chance I got. 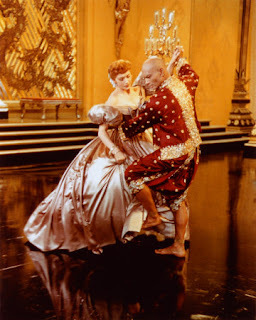 Is there anything more amazing than the silvery purple ballgown she wears while dancing with Yul Brynner to Shall We Dance? 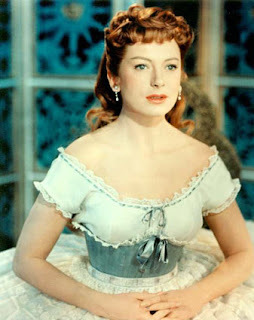 I fell in love with her lilting speaking and singing voice (not realizing until many years later that Marni Nixon did the singing), her fiery red hair, her porcelain skin and her gorgeous wardrobe of one Victorian dress after another. But, of course, Kerr is known for many roles besides that of Mrs. Anna. 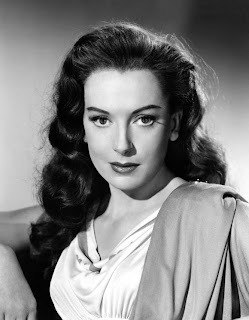 From 1940-1986, she appeared in over 30 films. Audiences saw her more sensual side in From Here to Eternity, where she frolicked on a beach and embraced the handsome Burt Lancaster. And who among us has not watched An Affair to Remember after its immortalization in Sleepless in Seattle? Born Deborah Jane-Kerr Trimmer in 1921, Kerr trained as a ballet dancer before becoming an actress -- thus providing her with the beauty and grace so prominent throughout her career. And while she never won an Academy Award, she was honored six times with nominations. Her goodwill was shown in her volunteer efforts for the National Society for Clean Air and Environmental Protection, which she was a patron of from 1992 onward. 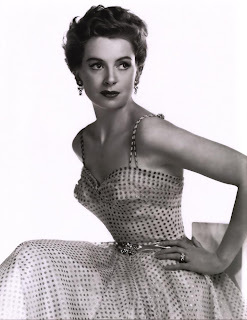 Kerr's beauty never failed, even as she grew older and unfortunately suffered from Parkinson's Disease. Her trademark red hair, offset by that gorgeous porcelain skin and creamy pale red lips, were mainstays in her look for over 40 years. Kerr always had a way of looking polished without becoming too over the top or "done." She embodied the true elegance so many women envy and emulate. 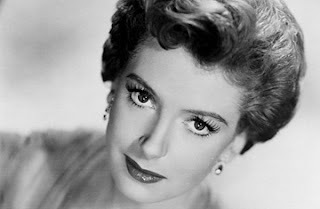 Very unfortunately, Deborah Kerr passed away in 2007. But her memory lives on throughout her storied career. She is truly a Beautiful Belle.